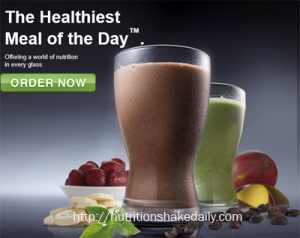 With the nutrients in Shakeology ingredients, you get optimal nutrition and a healthy meal. Combine it with an exercise program and you can also reduce blood lipids and disease risk factors and improve your overall health. Protein and Amino Acids – Proteins are the building blocks of life. Amino acids are necessary to build the various proteins used in your body tissues for growth, repair, and maintenance. Amino acids play many roles in your health and disease. Amaranth, Camu-Camu, Goji berry, Sacha Inchi, sprouted quinoa, whey protein. Phytonutrients – Known for prevention of cancer and heart disease, phytonutrients contain natural antioxidants that provide protection from free radicals. Other benefits include slowing down of the aging process and protection from cataracts and macular degeneration. Barley grass, blue-green algae, Chia seeds, Chlorella, flax, grape seed extract, Hydrilla, spinach, Spirulina, sprouted quinoa, wheat grass. Antioxidants – Offering excellent protection again those damaging free radicals, antioxidants promote the healthy cell growth and support the immune system. Açai berry, Acerola cherry, bilberry, Camu?Camu, Goji berry, grape seed extract, green tea, Maca root, pomegranate. Adaptogens – Used for centuries in Chinese medicine, Adaptogens help bring your body to homeostasis and help your body adapt to stress. Ashwagandha, Astragalus, Cordyceps, holy basil leaf, Maca root, Reishi mushroom, Schisandra, Suma root. Prebiotics – Know to improve colon health, prebiotics also help improve the immune system. Digestive Enzymes – Help with food digestion, brain stimulation, tissue, cell and organ repairing and generating cellular energy. Amylase, bromelain from pineapple, cellulose, lactase, lipase, papain from papaya, protease. With over 70 whole-foods, Shakeology ingredients contains no caffeine, is gluten free and certified low glycemic.